The sketch to HTML5 conversion is one of the effective methods that will help in creating a strong foundation for your website. Quality website, browser compatibility and SEO-friendly are some of the advantages that you will get when you lay your hands on this conversion process. Want to know more about its benefits? Read on to find out. The Sketch is a well rated Mac application used for designing a great user experience. It is one of the exceptional tools that is used by designers to build aesthetically pleasing websites. Loaded with a plethora of features, the Sketch app has all the right reasons for being considered as one of the most important tools for designing a website. Another important step that immediately follows the designing journey is the Sketch to HTML5 (this being the latest version of the HTML) conversion process. Now, there are many benefits that your website is prone to when you adhere to this process. 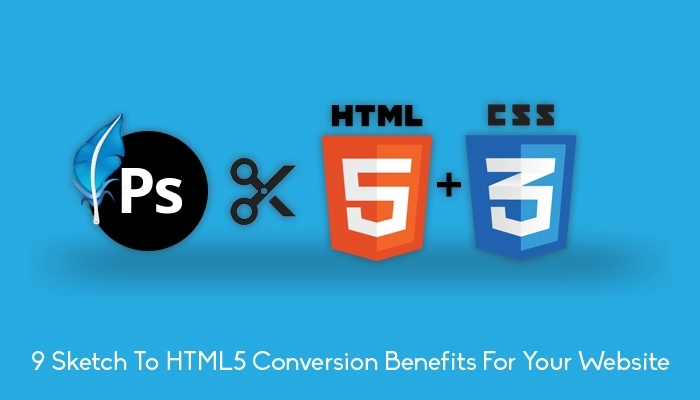 Let me walk you through some of the benefits that you will come across with a good Sketch to HTML5 conversion service. Read on to find out. It always gives you the liberty to design a website that perfectly matches your needs and requirements. When you get the power to tailor make your website you can beautifully craft a web solution that perfectly resonates with your needs and requirements. 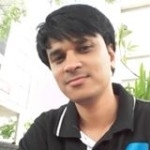 When you opt for conversion technique you will be having a site that is responsive in nature. It will also be accessed across various mobile devices, capturing a maximum number of audience for your website. This proves to be a useful quality for increasing the number of potential customers. The Sketch is loaded with a plethora of designing tools that will give you web solutions that are pixel perfect. This will give you a website that is aesthetically pleasing wherein one pixel perfectly coordinates with other pixels, which will eventually ace up the user experience. This conversion process will ensure that your website is safe from all types of black hatters trying to evade the privacy of your website. The W3C validated codes, ensures that the website cannot be easily hacked. When you have a website that is constructed on the foundation of the Sketch to HTML conversion you will be ensured of a website that can be accessed across all possible browsers. Moreover, it will easily load on the website without consuming much time and space. Apart from browsers, the Sketch to HTML5 conversion will give you web solutions that can be easily accessed across various operating systems. This will make it easy for your website to being accessed across a large number of audience. You will be entertained with an elegant and quality website, the clean codes which eventually proves to be beneficial for your website. As these codes are manually put in developing the website, you will find it easy to find and rectify the errors. When you choose the Sketch to HTML5 conversion method you will be entitled to a website that has commendable website performance. As the codes are SEO-friendly the website loads at a great speed. This will prove to be an added advantage to your website's visibility factor. The codes that this conversion process uses is very well validated by the World Wide Web Consortium standards. You will be entitled to an optimized HTML web solution that has been well formatted, commented and validated by the W3C. Above-mentioned are some of the good things that you will come across when you opt for the Sketch to HTML5 conversion process. Apart from this, you will also come across web solution that is dynamic and effective in nature. Having said this, the Sketch to HTML5 conversion process is becoming one of the most trending methods to create the foundation of an excellent website. 15 Twist Way, Slough, SL2 2AY, United Kingdom.